Village Music Circles brings rhythm-based events, trainings and experiences to organizations and communities worldwide. Village Music Circles embodies the pioneering vision of Arthur Hull. Through ground breaking work and a life-long dedication, Arthur Hull has defined the techniques, tools and community spirit that make rhythm accessible to everyone. 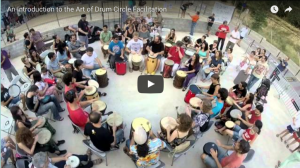 Arthur Hull describes the 4 stages of the Village Music Circles Drum Circle Facilitation protocol. Get your VMC Graduate Logo! If you have participated in a Village Music Circles Playshop, you are entitled to receive a logo that you can use on your website and in your promotional materials. We have logos for specific event graduates. If you are interested in having your VMC logo to use, please send an email to: outreach@drumcircle.com with the VMC Playshop (place and date) that you have completed and the logo will be sent to you. 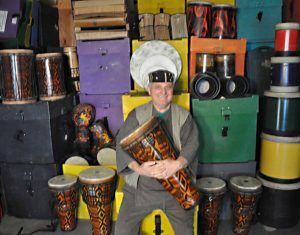 I have hundreds of drums for use in my corporate and conference drum circle event business called Village Music Circles. 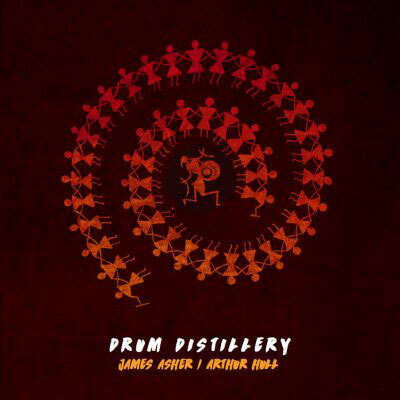 Twenty-five years ago, all of my drums were natural wood and natural skin head drums. Because of the wear-and-tear on the wooden drums through constant shipping and use, I had to maintain a workshop to repair broken drum shells and heads. As I began to replace my broken wooden drums with REMO drums, I was able to close down my repair workshop. Because of the durability of the REMO’s Acousticon® shells and Mylar® heads, repairing REMO drums is not an issue. They just don't break! REMO drums are kid-proof and drunk-executive-proof.